1. Remove the heat shield (A). 3. 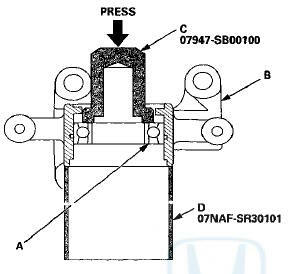 Press the intermediate shaft (A) out of the intermediate shaft bearing (B) using the half shaft base (C) and a press. Be careful not to damage the bearing support ring (D) on the intermediate shaft during disassembly. 4. 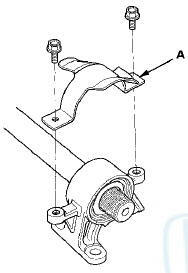 Remove the internal snap ring (A) from the bearing support (B). 5. 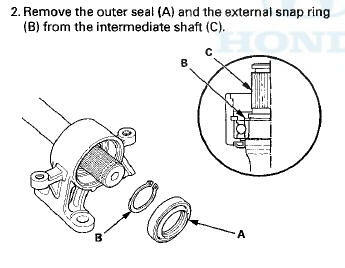 Press the intermediate shaft bearing (A) out of the bearing support (B) using the 44.5 mm oil seal driver (CL the half shaft base (D), and the press.